BRUSSELS, Belgium, 2018-Apr-23 — /Travel PR News/ — Rezidor Hotel Group AB (REZT), publicly listed on Nasdaq Stockholm, Sweden and part of Radisson Hotel Group, is proud to announce the signing of the first ever Radisson RED in the Nordics, scheduled to open in Iceland’s capital, Reykjavik, by 2020. Radisson RED is Radisson Hotel Group’s upscale, select service hotel brand that presents a playful twist on the conventional. Radisson RED hotels inject new life into hospitality through informal services where anything goes, a social scene that’s waiting to be shared and bold design that kick-starts the fun. “We are thrilled to introduce our bold Radisson RED brand to another vibrant and urban capital, Reykjavik, where tourism is booming because of its many natural wonder and beauty’’ said Elie Younes, Executive Vice President & Chief Development Office, Radisson Hotel Group. 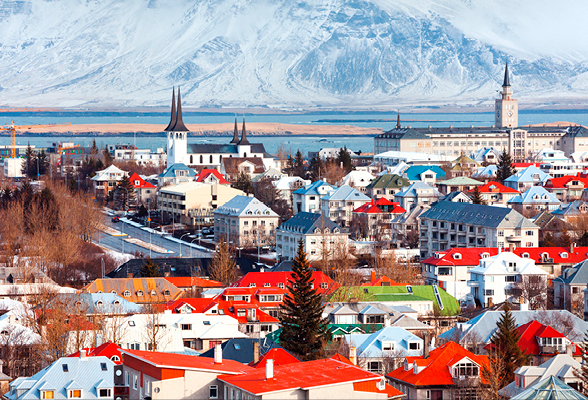 The newest Radisson RED hotel – that joins Brussels, Campinas, Cape Town, Glasgow and Minneapolis – will bring Radisson Hotel Group’s Icelandic portfolio to four hotels open or in development. Current hotels include the boutique Radisson Blu 1919 Hotel, Reykjavik in the city’s downtown area, the newly renovated Radisson Blu Saga Hotel, Reykjavik located in the west-town district, and the convenient Park Inn by Radisson Reykjavik Keflavik, located just five kilometers from Keflavik International Airport. The 195-room Radisson RED Reykjavik, set to open Q2-2020, will be a newly built property that provides travelers with an ideal base from which to explore the city and beyond. Located in the city center, with easy pedestrian access to the main retail street, leisure areas and financial district, the 17-story hotel will be an ocean front property offering guests panoramic views of the ocean, city and the surrounding mountain ridge. “The number of tourists in Iceland is estimated to increase and tourism will remain one of the main drivers of the country’s GDP,” added Younes. “We are excited about the partnership with Radisson Hotel Group to open up a modern and dynamic Radisson RED landmark hotel with iconic views of the city. Our guests will have a unique opportunity to tailor their stay to their style for whatever the purpose is, to enjoy the city life, unique and immense nature or business” added Mr. Ingi Guðjónsson, Chairman of the Board of Rauðsvík ehf and S26 Hotel ehf. Travelers from all over the world come to experience the stunning Icelandic nature with glaciers, geo-thermal pools, spectacular landscapes, cultural– and city life along with chances to glimpse the Northern Lights. The destination is popular both for leisure guests and business travelers due to the one-of-the-kind nature experiences and convenient travel connections to cities like New York and London. This entry was posted in Hospitality, Hotels, Travel, Travel Management, Travel Services, Travelers, Vacations and tagged Elie Younes, Iceland, Mr. Ingi Guðjónsson, Nordics, Radisson Red, Reykjavik, Rezidor Hotel Group. Bookmark the permalink.